(1) Ninja Theory really seems to have a handle on the deranged spectacle that characterizes creator Hideki Kamiya’s earlier work on the series. (2) With the expected assortment of killing tools joined by the new ability to add angel and demon variants on the fly, is the series’ trademark combo-oriented combat verging on becoming too complex? There wasn’t any time at the show for a proper hands-on sitdown, so it’s fortunate then that Capcom offered us some time with a playable build of DmC that was ready to go. After spending close to an hour playing through a combat scenario and a boss fight, I can tell you with confidence that the combat tweaks bring about some very welcome additional depth. There’s definitely a learning curve, but it’s not an insurmountable one and once you’ve got a handle on things, it adds a great deal more tactical flexibility to your frequent baddie beatings. The first section of the demo dropped a younger and short-haired Dante into a sun-bleached city of wide streets and sandy brown brick, tenement-style buildings. Limbo is a big thing in this game, a realm that sits just out of view of the real world that Dante-haters can twist and squeeze at will. It’s here in this other realm that you encounter the bulk of the game’s action. The malleability of Limbo is also used to great effect, both for purely cosmetic and gameplay reasons. You might turn a corner and find a threatening message to Dante scrawled across a wall in glowing letters… or you might simply encounter a long street being crushed on both sides by buildings that are being pushed in like the trash compactor from Star Wars. Elements like these highlight why Ninja Theory was the ideal choice to take over for the previous Capcom dev team; the Heavenly Sword dev understands the importance of creating a rich fantasy world. Now let’s talk about the combat. Dante always has a firearm (or firearms) and melee weapon at the ready; the full suite of weapons hasn’t been revealed so far, and so Dante just carried his trademark Rebellion sword and Ebony & Ivory pistols for the purposes of the demo. The big twist on top of your normal range of attacks is the ability to apply an angel or demon modifier to your weapons by holding down one of the two trigger buttons. Doing so offers a range of benefits. For starters, angel and demon variants function a bit differently, with the angelic scythe striking more quickly that the demonic battle axe, but doing less damage; vanilla Rebellion strikes, on the hand, feel like a balance between the two. You can also use the two variants as a sort of two-way grappling hook, with the angel variation pulling Dante toward a target and the demon variation pulling a target toward Dante. The fact that you apply these modifiers using the two triggers on your gamepad also means that you can switch between any of the three attack types on the fly, resulting in a very diverse assortment of possible combos. The enemies you encounter reinforce this based on what I saw. You’ve got everything from standard-issue grunts that go down with little effort to more heavily armored brutes to flyers that require a grapple in one direction or the other. The general combat scenario that I played appeared to be some sort of early-ish tutorial, and yet there was no hand-holding on the combat side. After just a few minutes of getting my bearings, I found myself facing off against a bizarre menagerie of monstrous creatures. The variety I encountered here forced me to sample different tactics. If this is an indicator of what can be expected from the rest of the game, it’s off to a tremendous start. Then there’s the boss fight. It’s here that I got a sense of why DmC isn’t quite ready for primetime (the game arrives in early 2013). It’s not that anything felt mechanically broken or buggy; more that the balancing just feels way, way off. I died multiple times as I chipped away slowly at the boss’s three health bars — it’s a three-stage fight, so you get a new bar to drain with each stage — performing the same set of actions on repeat. The fight isn’t inherently tedious and in fact does a solid job of varying up the attack patterns you’re contending with, it just drags on for a bit too long. The boss itself is a massive, ugly demon-thing that dangles from the ceiling of a cavernous round room, held up by a series of tubes. It initially looks like a blood-colored cocoon, though the shell splits open as you approach, revealed an oversized head and multiple bony, oversized arms. The creature hisses and sputters, spewing vile green goo in Dante’s direction as he mouths off with some of his witty repartee. It’s pretty classic Devil May Cry tomfoolery. The fight involves smacking up the boss between her strikes and then using the angel grapple to swing over to adjacent platforms whenever she vomits her goo all over the place. The grapple swings are where the learning curve hit me the hardest, as I frequently found myself hitting the wrong variant or timing my jump wrong as I fumbled with the buttons. That said, I get the sense that most players will probably be quite a bit more proficient by the time they reach this boss. I won’t spoil any of the story particulars or the grisly end that the boss meets. Suffice to say, it’s a humorous demise. It also doesn’t happen immediately after you’ve drained all of her life bars. There’s an unusually interactive QTE-like scene that plays out first, a welcome change from the situation in the past games where Dante’s most badass moves were reserved for cutscenes. 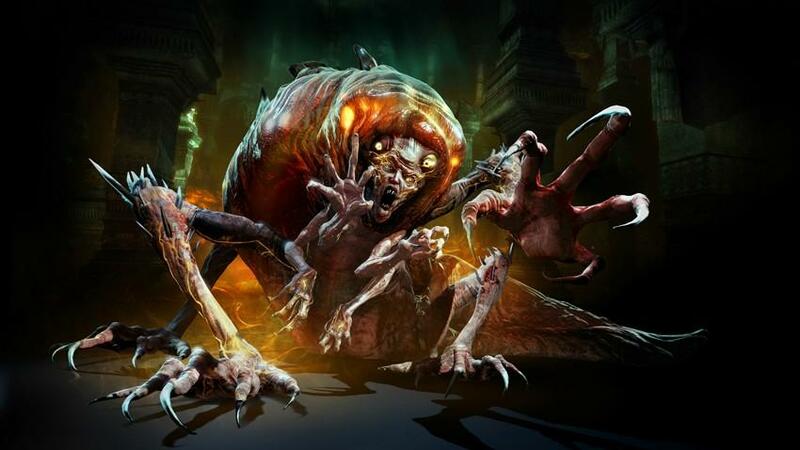 In case it’s not already apparent, I’m liking what I’m seeing in DmC: Devil May Cry. Even with months remaining before the game hits stores, there’s a level of polish and just a fundamental smoothness to the mechanics that shows lots of promise for a fun experience to come. 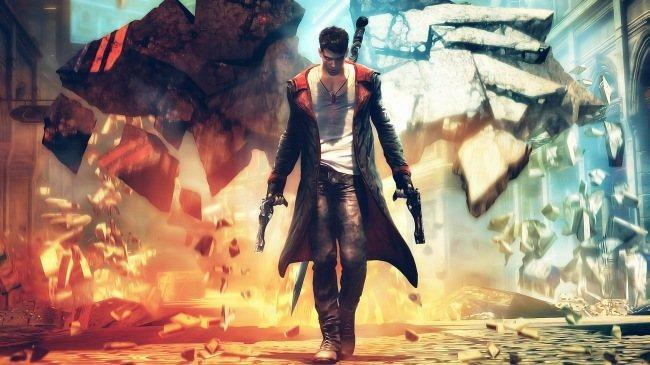 It sounds like Capcom still might have a few more surprises to reveal before the games arrives in stores on January 15, 2013, but even just with what we’ve seen so far, this is looking like a triumphant return for Devil May Cry. Sony preparing new ultra-slim PlayStation 3?